Chicago, Illinois, is an exciting destination to explore with kids, offering an array of family-friendly museums, attractions and eateries. 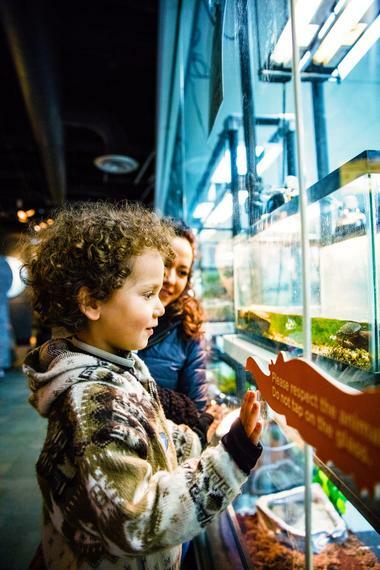 Watch a show at America's first planetarium, see rare animals at Lincoln Park Zoo, and have fun with hands-on exhibits at the Chicago Children's Museum. See award-winning exhibits at the Museum of Science and Industry, and visit the stunning Shedd Aquarium. Here are the best things to do in Chicago, IL, with kids. Founded in 1930 by Max Adler as America's first planetarium, Chicago's Adler Planetarium has become a primary and unrivaled resource for inspiring, motivating and educating the next generation of space explorers. Located on the northeast tip of Northerly Island, the planetarium boasts three full-sized theaters, namely the Definiti Theater, the Samuel C. Johnson Family Star Theater, and the technologically-advanced Grainger Sky Theater, all of which feature unforgettable immersive sky shows. There are also extensive space science exhibitions to explore a magnificent collection of antique scientific instruments and print materials, and the Doane Observatory, which is one of the country’s only research-active, urban public observatories. The Adler Planetarium is one of the best things to do in Chicago with kids. The planetarium offers a variety of exhibitions, special lectures and presentations, daily educational programs and special community events throughout the year. Founded in 1868, Lincoln Park Zoo is one of the oldest zoos in the U.S. and a leader in animal conservation and care. Offering free admission for all visitors, the zoo aims to connect, educate and inspire the local public with nature through a free, family-oriented wildlife experience. The zoo covers 35 acres of a variety of habitats built to cater for over 200 animal species, which include big cats, primates, reptiles, sea animals, and birds. 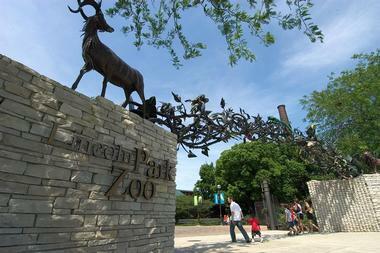 Lincoln Park Zoo is one of the top Chicago attractions. Visit the Regenstein Macaque Forest, home to a troop of Japanese macaques soaking in the hot springs. Go on an African journey through the Regenstein African Journey exhibition that features rhinos, giraffes, and aardvarks. Stroll through an exhibition of nature-inspired sculptures set amid the zoo’s beautiful gardens and look at an ancient burr oak tree that dates back to 1830. Located at the Navy Pier on Lake Michigan, Chicago Children's Museum was founded in 1982 and has been bringing joy to visitors of all ages ever since. Originally housed in the Chicago Public Library, the museum began with trunk shows traveling exhibits in response to capacity crowds on-site, before moving to the Navy Pier in 1995. The fourth largest children’s museum in the United States, the Chicago Children's Museum features thirteen vibrant, interactive and hands-on exhibits across three floors where children of all ages are encouraged to create, explore, and discover together through play. Exhibits and activities focus on math, science, literacy, and visual and performing arts through engaging and sensory educational content. Popular exhibits include WaterWays, an interactive system of pumps, pipes and pulleys that demonstrates the wonders of water; Play It Safe, a real-life firehouse and fire truck that teaches both families and children about fire safety; and Dinosaur Expedition, where kids can become archeologists and dig for dinosaur bones. You know you are in the right place when you enter Weber’s Bakery – the smells of fresh bread, creams, chocolate, and fruit will instantly make your mouth water. Webber’s is one of the oldest family-owned bakeries in Chicago. German immigrant Erich H. Weber opened the original bakery in 1930 at 45th and Kedzie, in the Chicago’s Southwest Side, and as the business grew it eventually had to move to a larger space in 1937. Weber’s Bakery is the place to go for their famous donuts, delicious European breads and pastries, ornate wedding cakes, fabulous pastries, cookies, brownies, and so much more. Everything is made fresh from the best ingredients and hand-crafted. You can be sure that you will find something to tempt you in their tantalizing displays and you will probably leave with more than you planned. 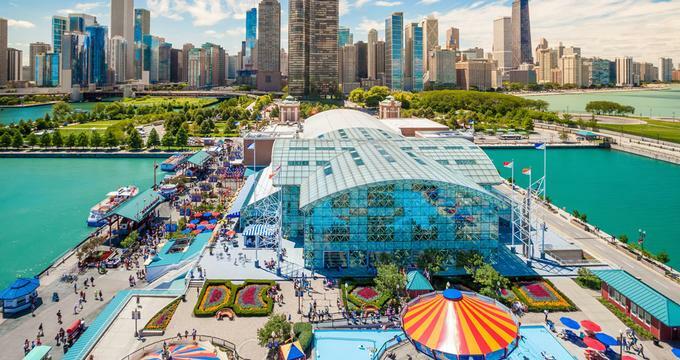 One of the most important civic landmarks in America and top-visited leisure destinations in the Midwest, Navy Pier is a historical icon with an array of things to see and do for the whole family. 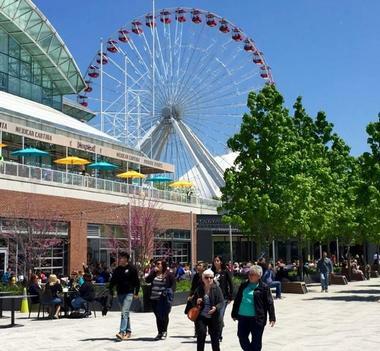 Located on a beautifully-landscaped outdoor area on the upper deck of Navy Pier, the iconic Ferris Wheel is one of the main attractions at the Navy Pier Park. Nestled between Crystal Gardens and Pepsi Skyline Stage, the 150-foot high wheel offers spectacular views of Lake Michigan and the shimmering Chicago skyline. The Crystal Gardens is a beautiful indoor botanical garden that offers breathtaking vistas of Navy Pier Ferris Wheel against a backdrop of the lakefront and city skyline. Home to lush foliage and palm trees, leapfrog fountains, and twinkling lights, the gardens are housed in a six-story glass atrium located just steps from the main entrance of Navy Pier. Dive into coral reefs with a myriad of fish and sharks, soar through the stars above the Earth, or battle invaders of the Imperial Forces in Star Wars VII at the mind-blowing Navy Pier IMAX Theatre. Boasting a six-story screen with exquisite digital surround sound and unparalleled acoustics, this is one adventure the children will never forget. Babycakes is a food truck specializing in and serving an array of inventive, innovative and delectable pancakes. Chef and owner Leah Wilcox serves an impressive array of sweet and savory pancakes. With more than 200 inventive pancake recipes under her belt, some of Leah’s pancake creations include eclectic flavors like birthday cake and pepperoni pizza, or all-time favorites like the Banana Foster and Strawberry Cheesecake. The Peggy Notebaert Nature Museum is a leading nature museum in Chicago that focuses on showcasing the natural history of the region. Founded in 1857, operated by the Chicago Academy of Sciences, and named in honor of Peggy Notebaert, it has an outstanding array of permanent exhibitions and botanic displays, including Butterfly Haven, Wilderness Walk, Water Lab and City Science House. Displaying the ecological history of the Illinois region, a live butterfly house features more than 200 species of native and exotic butterflies, and a green home exhibition demonstrates the benefits of sustainable living. The museum also offers over 100 educational programs in the natural sciences for adults, students, and children, as well as summer camps, scout camps, and annual community events. Located in Chicago’s Bridgeport neighborhood, Pleasant House Bakery is a new bakery/café that serves an assortment of mouthwatering baked goodies, freshly baked breads and pies, pastries and desserts and homemade beverages, including homemade sodas. Specializing in traditional savory pies and specialty sweets, Pleasant House Bakery is famous for their homemade Royal Pies, which are made with the highest quality meats and ingredients. Try the Steak and Ale, Chicken Balti or Cold Pork Pie accompanied by chips and veggies. Pleasant House Bakery offers both dine-in and carryout options and features dinner specials throughout the week. Opened in 2005 in Chicago's Chinatown, the Chinese American Museum of Chicago has a mission to promote the history and culture of Chinese-Americans living in the Midwest. The museum is located in the 1896 former warehouse and later seat of the Quong Yick Co. It was damaged by fire in 2008 and was renovated and reopened in 2010. The museum’s permanent exhibition is called the Great Wall to Great Lakes: Chinese Immigration to the Midwest, which shares the stories of Chinese immigrants and their journeys to the Chicago area. The exhibition My Chinatown: Stories from Within is a 16-minute video about the people of Chinatown – their families, journeys, customs, and work in Chinatown. The video was produced in collaboration between the Chicago History Museum and the Chinese American Museum of Chicago. The museum celebrates Chinese New Year every year with live Chinese traditional music, Chinese chess, lion dancing, calligraphy design, and great food. Chicago’s original slider truck, The Slide Ride is rolling into its 5th anniversary of serving up traditional comfort food and drinks to residents of the city. Adding a zesty touch to lunch, owner Nida Rodriguez serves a seasonal menu of up to eight mini-sandwiches and a few mini-burgers, with favorites like the spicy Sriracha Buffalo Chicken and the cheddar-topped Angus Burger. There is also a burger with brown sugar bacon and caramelized mustard onions called the Bacon Baby Burger. The Slide Ride can be rented for parties and special events, and a delivery menu is available so you can order your sliders to be brought to your door. Founded in 2005, the theater has seen over 280,000 visitors, not only attending the theater’s fantastic shows, but learning the art of acting and drama through a variety of educational classes, workshops, programs and community events. The 2015-2016 season presents “Goodnight Moon”, “The Runaway Bunny”, “The Miraculous Journey of Edward Tulane” and “Snow Flake”. Fat Rice is a rustic, comfortable restaurant with communal tables and an open kitchen. Unusual dishes such as caramel catfish and ginger-lime cauliflower pickles can be found on the menu, as well as traditional favorites like Piri-Piri chicken and fried smelts. The best place to sit is at the L-shaped bar surrounding the open kitchen, where you can watch the innovative and creative dishes being prepared. While Fat Rice might be described as ‘adventurous eating’, there are dishes for the most sensitive palate, such as pot stickers and hand-rolled rice noodles. 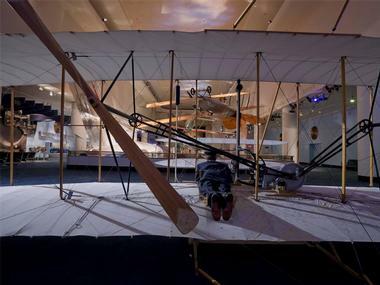 The Museum of Science and Industry Chicago brings science to life for adults and children alike through award-winning exhibits and immersive, hands-on experiences. Located in Jackson Park in the Hyde Park neighborhood, the museum is housed in the former Palace of Fine Arts that was built for the 1893 World Colombian Exposition. The largest science museum in the Western Hemisphere, the museum features an assortment of permanent exhibits that can be explored. There is a full-size replica of a coal mine, a railroad model of the first diesel-powered, streamlined, stainless-steel passenger train, a German submarine (U-505) captured during World War II, and the original spacecraft that took humans to the moon – the Apollo 8. Discover the magic of a fairy’s dream home in the newly restored Colleen Moore’s Fairy Castle; or learn about the history and future of materials that impact our lives on a daily basis in a range of educational displays and presentations that aim to teach, inspire and encourage all that visit. 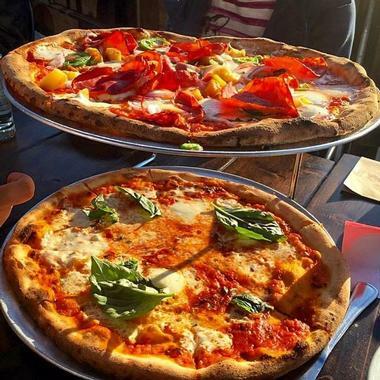 Situated on Logan Square, Reno Chicago is a traditional pizza and bagel place that serves breakfast, lunch, and dinner and is famed for out-of-this-world, wood-fired bagels and skinny, crispy pizzas. The menu also features mouthwatering pasta, like Spicy Rigatoni Amatriciana, fresh garden salads and an array of sides. The lunch menu offers a variety of sandwiches on innovative bread – go for the Cowboy Killer, a stollen-dough bun stacked with a maple and fennel sausage patty, fried egg, roasted poblanos, and caramelized onion. The pastry chef's creations also include a daily assortment of cakes, muffins, brioches available during the day, with sublime desserts like crunchy wood-fired apple crisp topped with cinnamon ice cream. Opened in 1930 as the John G. Shedd Aquarium, Shedd Aquarium was the first inland aquarium with a permanent saltwater fish collection and is currently home to over 1500 species of marine and land creatures, including fish, birds, amphibians, snakes, and insects. The aquarium shares the Museum Campus with the Adler Planetarium and the Field Museum of Natural History. The famous underwater world enjoys some award-winning exhibits, such as ‘The Amazon Rising’, a lush recreation of the Amazon jungle with displays of anacondas, caimans, and spiders; and ‘Wild Reef’, a Philippine coral reef based on the Apo Island Marine Reserve, boasting multiple species of fish, rays, and sharks. 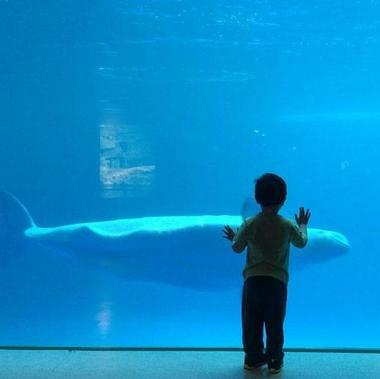 Shedd Aquarium also boasts a 4-D theater that features immersive seats, state-of-the-art sound systems and interactive elements like scents and bubbles for a truly exhilarating experience for all ages. 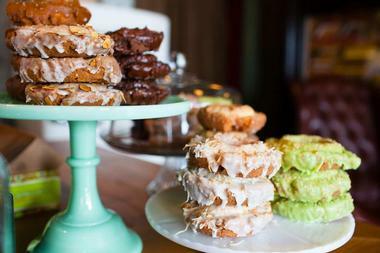 The Doughnut Vault is one of Chicago's hottest hidden-gem bakeries, operated by owner and chef Brendan Sodikoff. The shop, which has been acclaimed by international publications suhc as the Huffington Post, opens up daily at 8:30am and only sells until daily stock runs out, which can produce long lines and mean that the restaurant closes up shop as early as 10:00am. A small menu of simple, exquisite doughnuts is worth the wait, however. Three varieties of doughnuts are offered, including glazed, buttermilk old-fashioned, and gingerbread doughnuts, which are offered in chocolate, vanilla, and chestnut-flavored variants. Visitors should note that no seats or counter space are offered at the restaurant, only take-out doughnut service. Inspiring curiosity about life on earth for over a century, the Field Museum is one of the world’s largest natural history museums, maintaining a collection of over 24 million specimens and objects. The collection is displayed in a range of diverse, permanent exhibitions that include cultural artifacts, gems, meteorites, fossils, and rich anthropological assemblages from around the world. It also offers educational and scientific programs based on these collections, as well as a temporary exhibition program of traveling shows and in-house produced topical exhibitions. Supporting the Field Museum’s academic research faculty and exhibit development, the Field Museum Library is home to over 275,000 books, journals, and photo archives focused on a variety of natural history fields, such as geology, archaeology, and ethnology.